It includes practice writing lines, coloring, cutting, and writing. 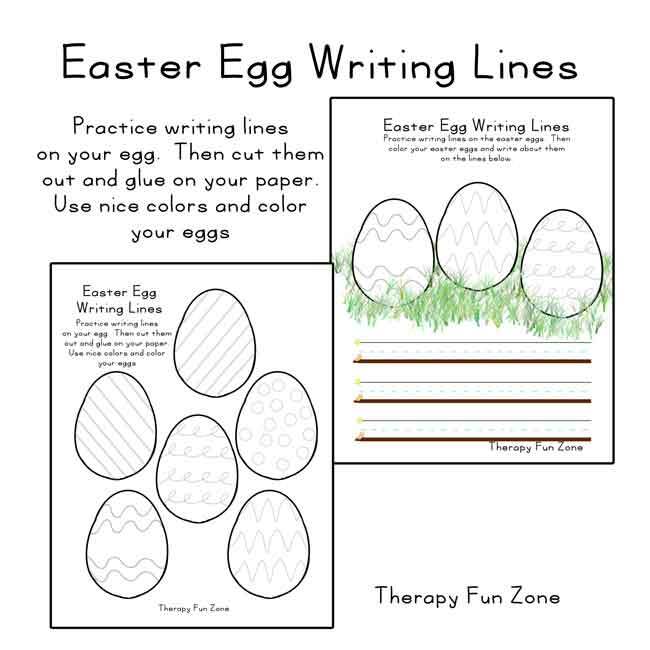 You can choose a simple grouping of eggs to practice lines on and then color. It also has a place at the bottom of the picture to write some sentences. The second choice is eggs to practice lines on. 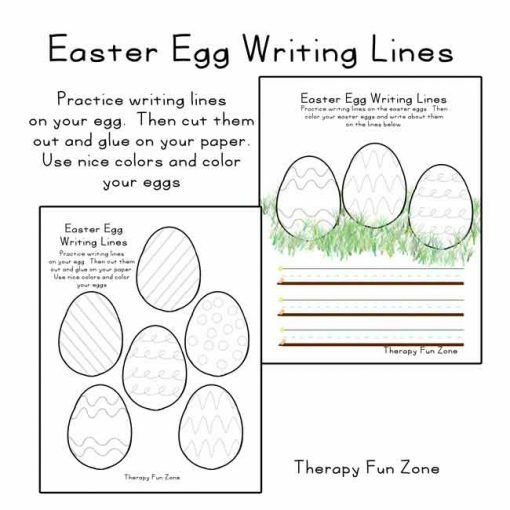 You can then color the eggs and cut them out to glue onto a project. I like to glue the eggs onto the base paper to then write some words about Easter.